I searched Priority Pass website to see which lounges in KLIA2 accept the pass. The search gave me 4 results: all 4 of them are Plaza Premium Lounge in KLIA2. Wait, is there an error in the website? 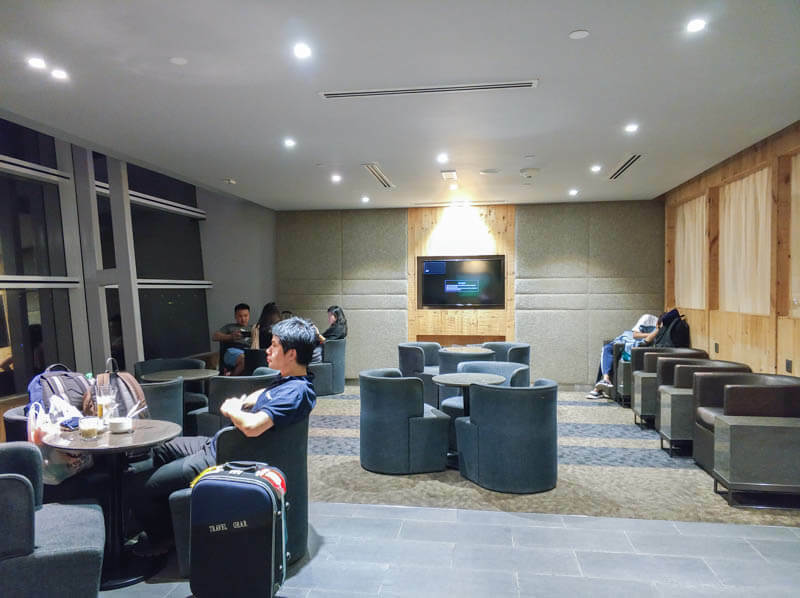 How is it possible that there are 4 Plaza Premium Lounges in KLIA2 alone? It was 2.30am in the morning when we arrived at KLIA2. We had just alighted from the bus which we took from Johor Bahru Larkin Terminal. I had a solid 4-hour of sleep on the bus (which is not enough to be considered a good night’s sleep). 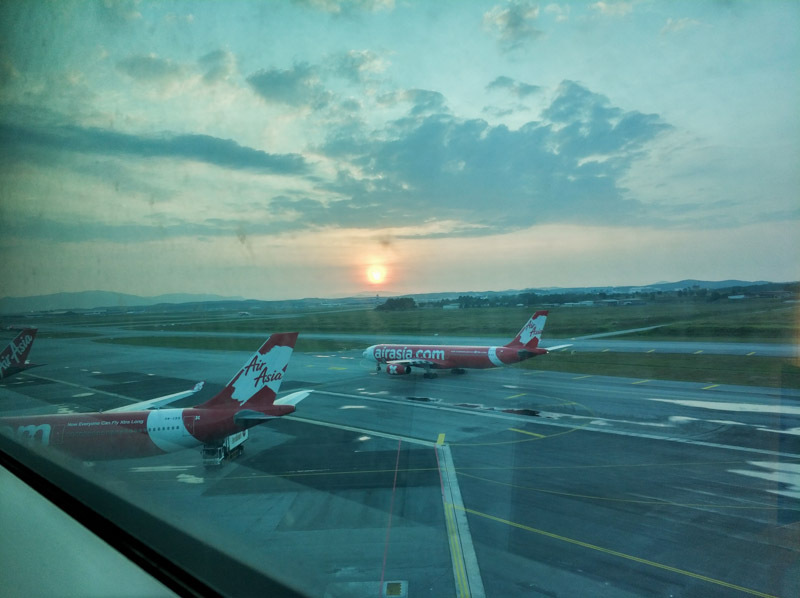 Earlier, I had estimated that we’d arrive at KLIA around 4.30 to 5.30, but it turned out that the traffic was extremely smooth and the bus didn’t have many passengers to pick up. So, we arrived much earlier than we thought we would. 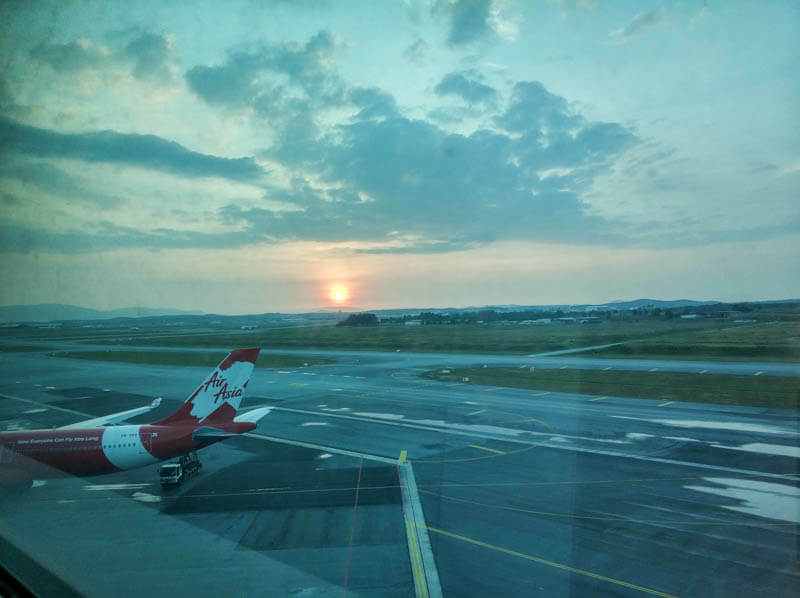 Our flight from KLIA2 to my hometown, Medan, was scheduled at 8.40am. There were 6 hours to kill at this airport, what do we do now? That’s when I decided to search online for lounges that accept Priority Pass. That’s when I got overwhelmed when PP’s website showed me there are 4 Plaza Premium Lounges in KLIA2. After patiently and meticulously reading each description, finally I saw the light. 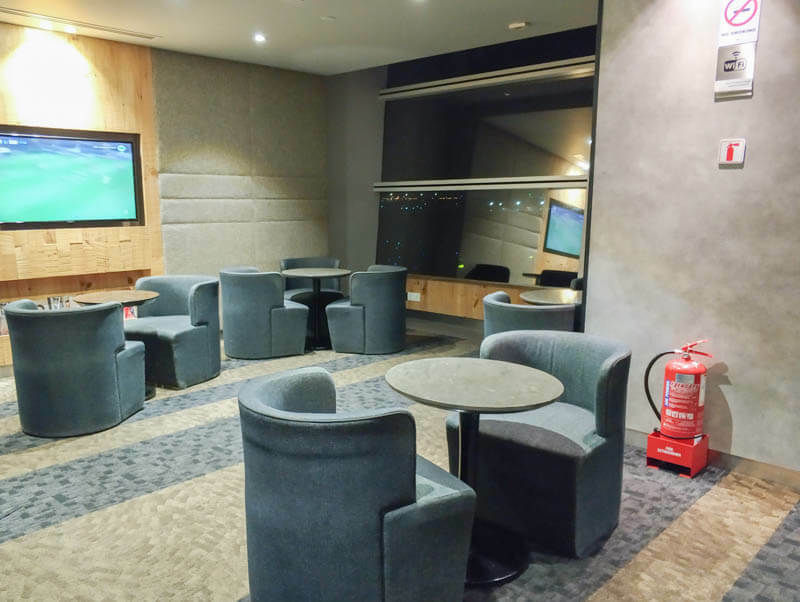 Plaza Premium Lounge – Land side (gateway@klia2, Level 2M, near the Food Court Area). Opens 24 hours. 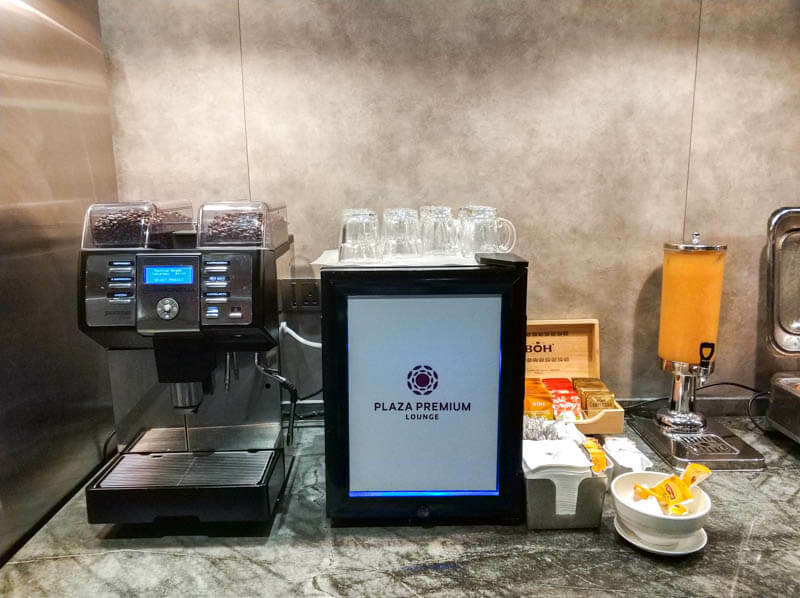 Plaza Premium Lounge – Land side (gateway@klia2, Level 2M, on the right hand side of the moving walkway next to the KK Super Mart). Opens 24 hours. 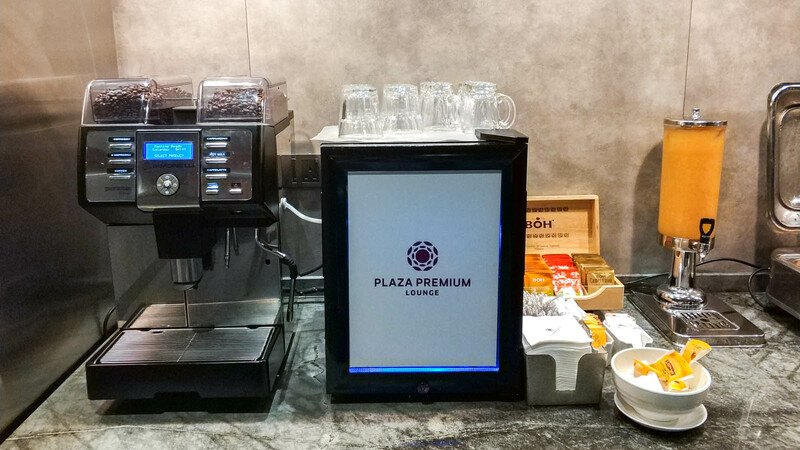 Plaza Premium Lounge – Air side (International Departures, Level 2, next to Gate L8). Opens 04:00 – 00:00 daily. 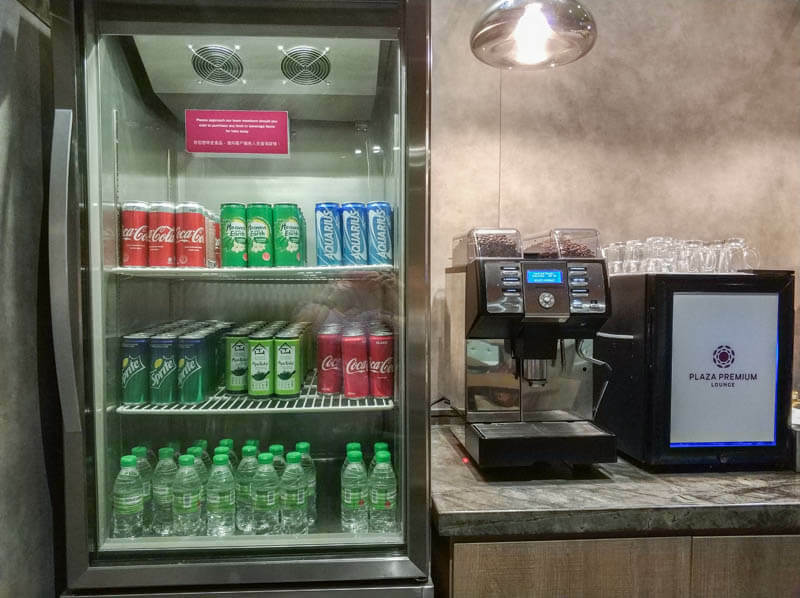 Wellness – Air side (International Departures, Level 3, after the Skybridge, behind ‘TheBar’). Opens 04:00 – 00:00 daily. 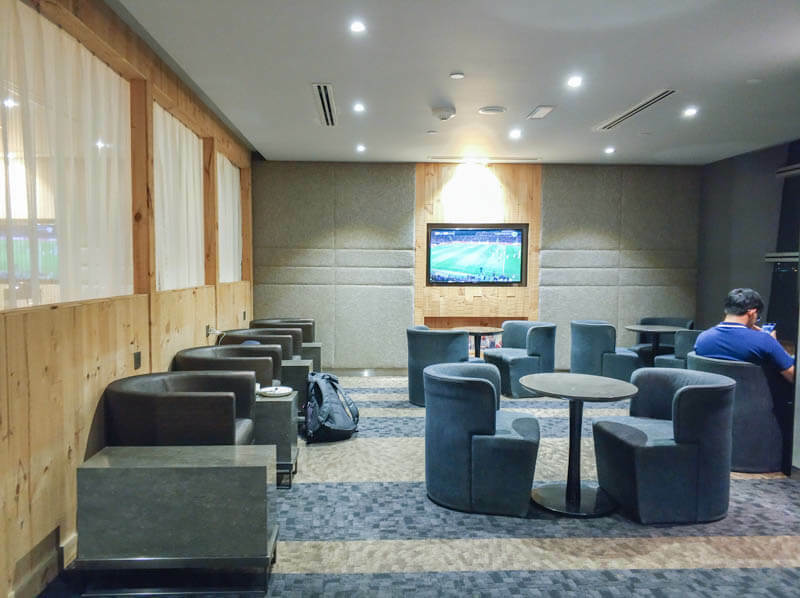 All of these lounges accept Priority Pass as well as payment! 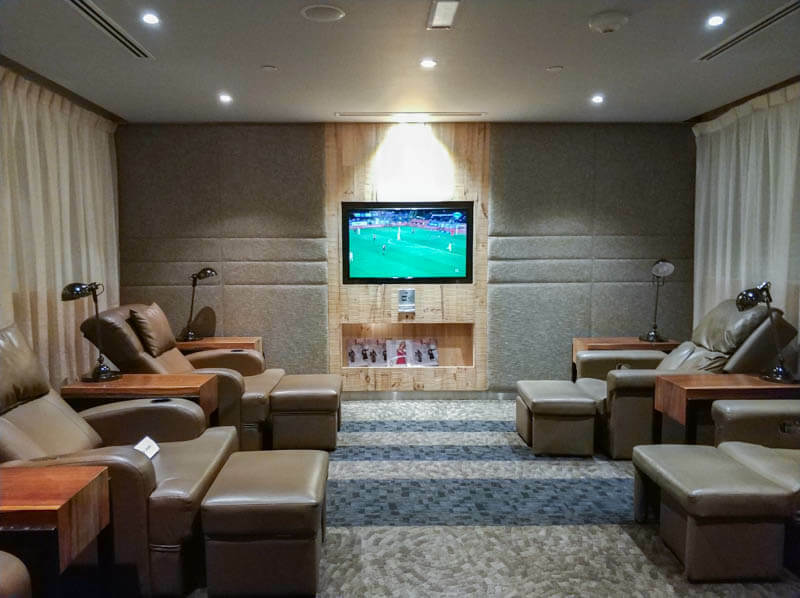 So, if you don’t have Priority Pass, you can still access the lounge by paying either walk-in rate or book from Plaza Premium Lounge website. If you want discounted rate, I recommend that you pre-book from Klook here . 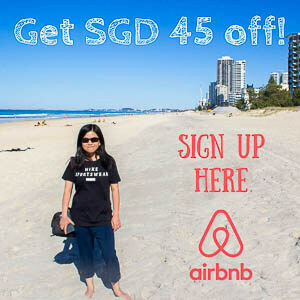 At the time of writing, it costs RM 142 for 3 hours lounge use (including shower). 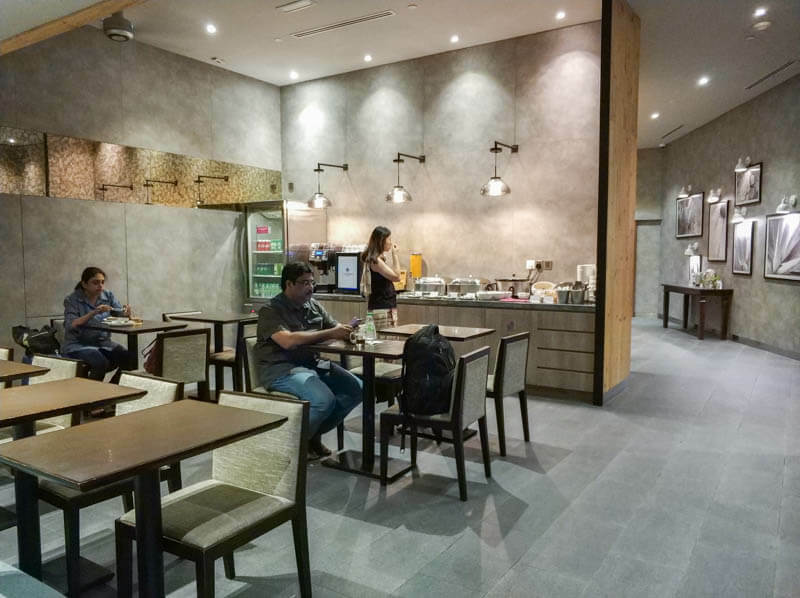 Lounge number 1 and 2 are located at land side (gateway@klia2), which means that you can use the lounge without checking-in first. These 2 lounges are open 24 hours while lounge number 3 and 4 will open only at 4am. 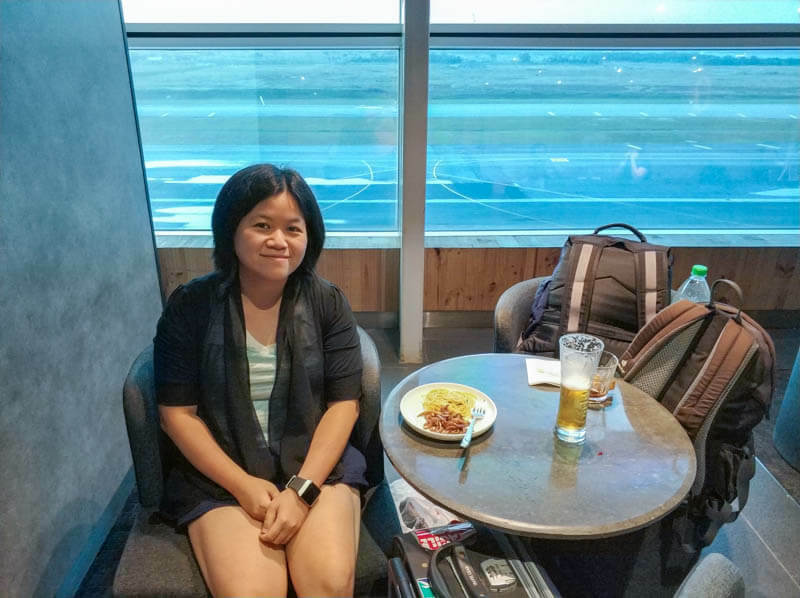 We peeked inside the two lounges at land side and felt that they were too small and lacked privacy. We decided to check-in first and then tried to survey lounge 3 and 4 before deciding which one to go to. It was about 3.30am when we cleared the immigration. We went to Gate L, but the security officer didn’t let us in because our boarding pass didn’t indicate any gate at all. We went to information counter near the immigration to ask. We were told that our gate is at Gate Q, Oh well, I guess we had no choice except to go to Wellness which is located in the middle of Gate P and Q. 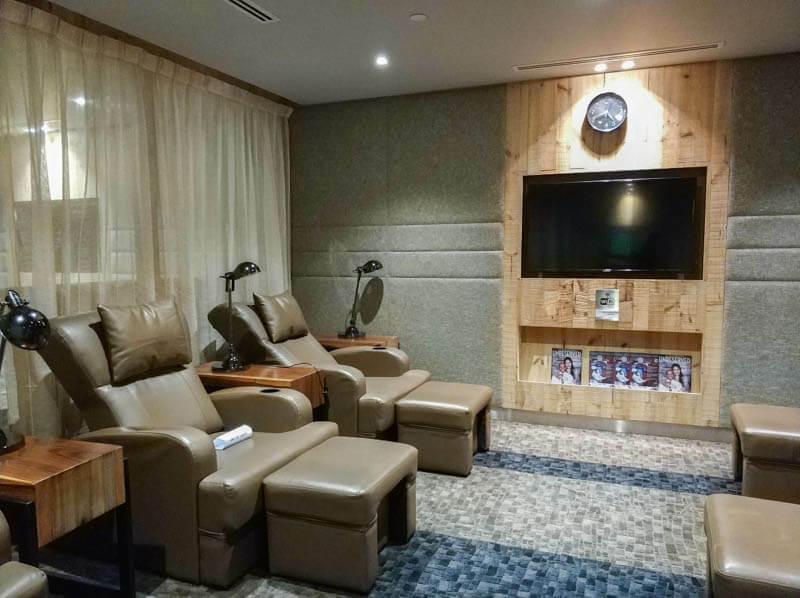 To be honest, when we saw the “Wellness Spa” sign at the entrance, we were worried if there would be any food or shower facilities, because it’s a spa after all. We asked the receptionist and he confirmed that there are food and shower facilities. And beer too! Admission was pretty straight forward. He checked our boarding pass, swiped my Priority Pass twice, and welcomed us. No towels were given during admission. WiFi password was placed on the receptionist counter. Until I saw the food, I didn’t know I was starving. Thank God, the food was in abundance. 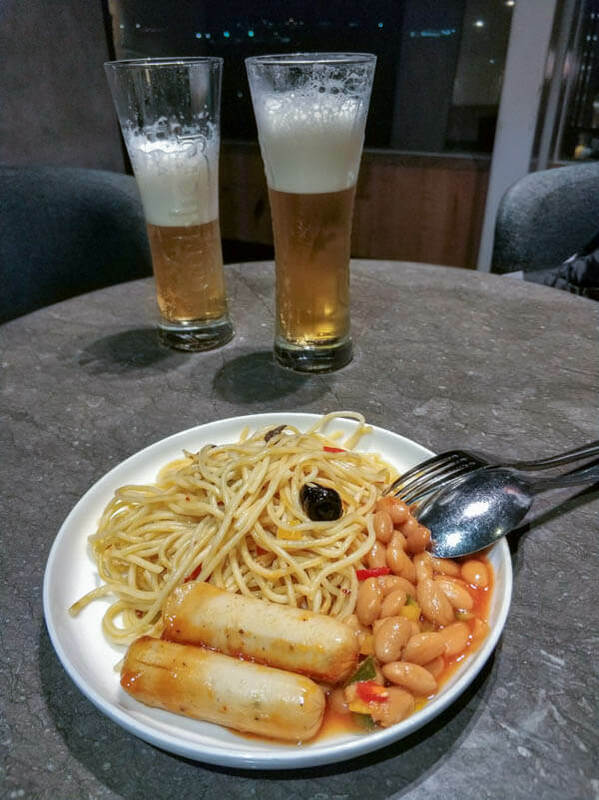 The main dish were chicken sausage, baked bean, aglio olio and fried noodle. Fried noodle caught my attention because it wasn’t the usual yellow noodle, instead it was mee taimak (or laoshufen)! I love mee taimak so I was really excited. 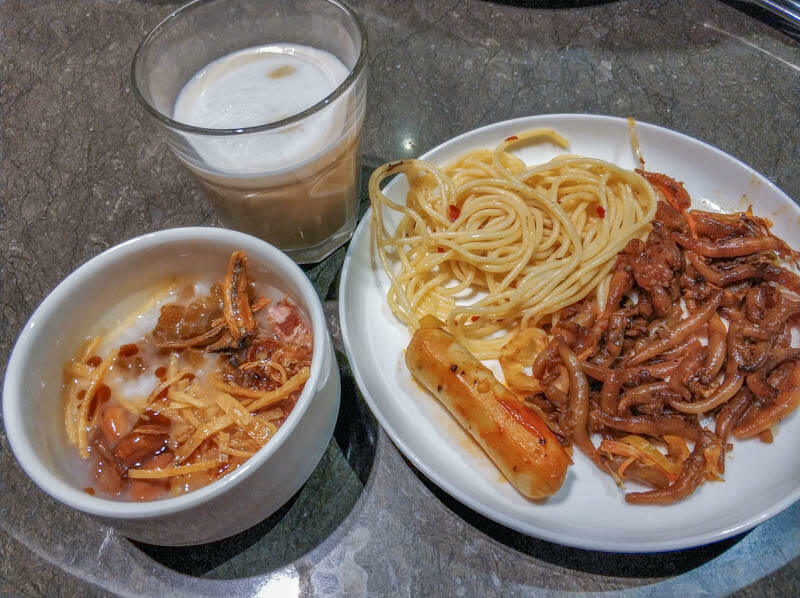 Personally, I think the spaghetti and mee taimak were really good! I wasn’t a fan of their sausage and baked beans. 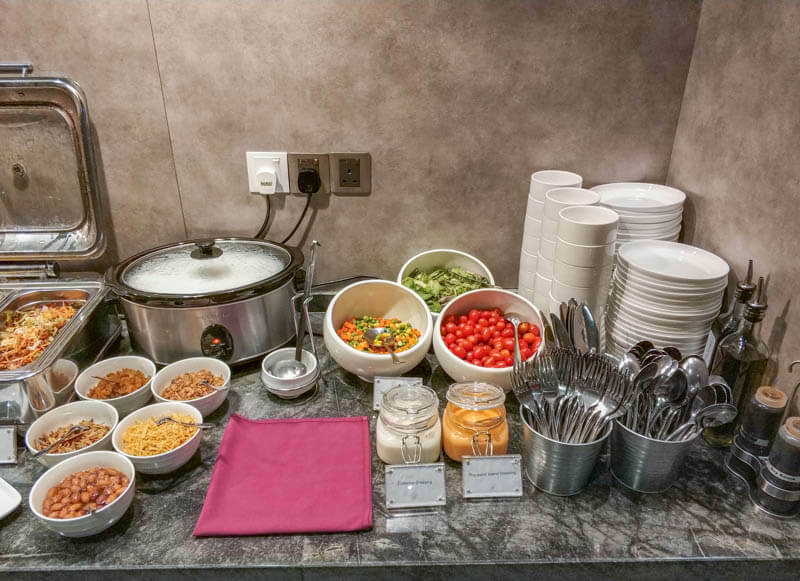 There was porridge with plenty of condiments, salad with coleslaw and thousand island dressings, cereals, bread, cakes, hot drinks and cold drinks. The beer is not in a can or bottle. It’s on tap! It’s in another room so you could miss it out if you are not aware of it. Wine drinkers, sorry there is no wine or liquor. The only alcohol they have is beer, and it’s free-flow. 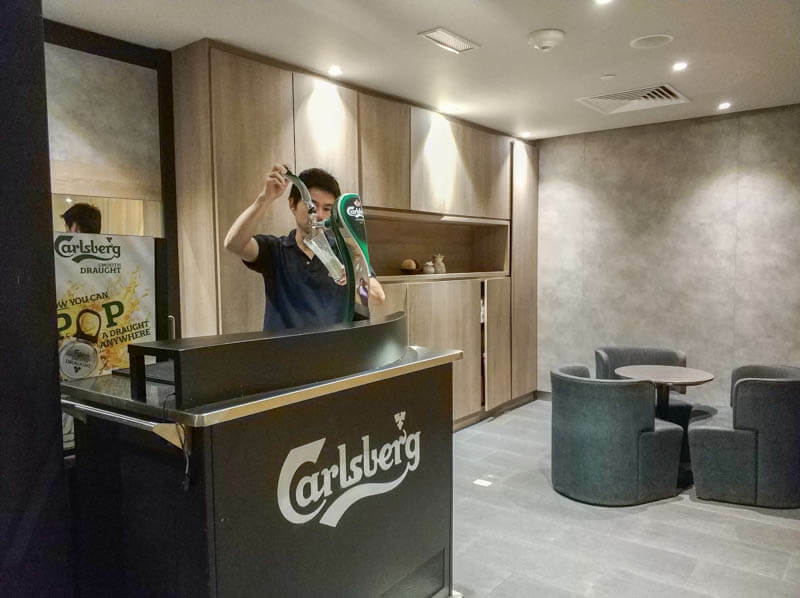 Beer tap is in another room. Help yourself. There are 2 main seating locations. 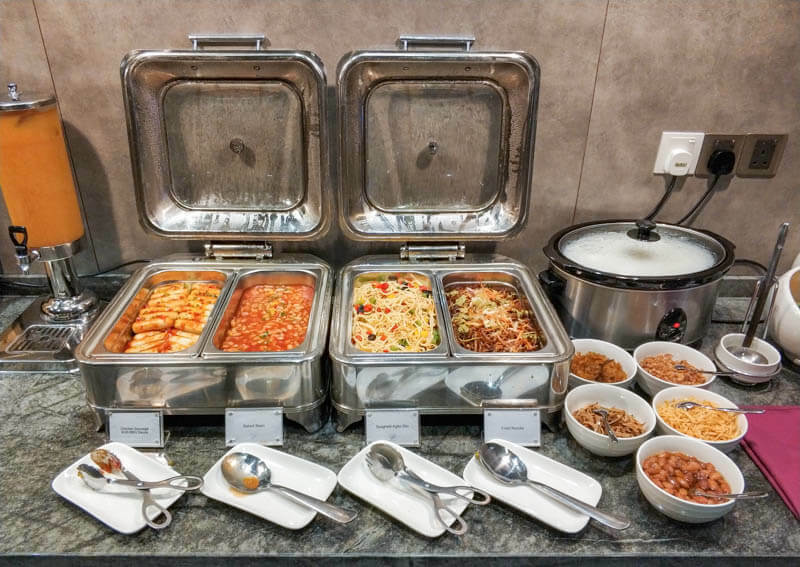 The first one near buffet consists of dining table and dining chairs. The second one further inside the lounge consists of comfortable armchairs and round or square tables. Power sockets were rare. Not all seats have access to power sockets. 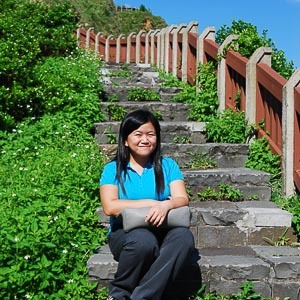 We sat at one of the armchairs. Before dawn, the windows were really dark, we could only see our reflection. However, magic happened when the dark sky gave way at dawn. We were told by receptionist that the spa would not open until morning so we didn’t have a chance to try it. The spa is not free, you need to pay additional fee to enjoy it. As the towels were not given during admission, we had to request for it. The receptionist was so busy attending to a long line of customers, so I approached other staff. The staff gave me towel and toothbrush almost immediately. 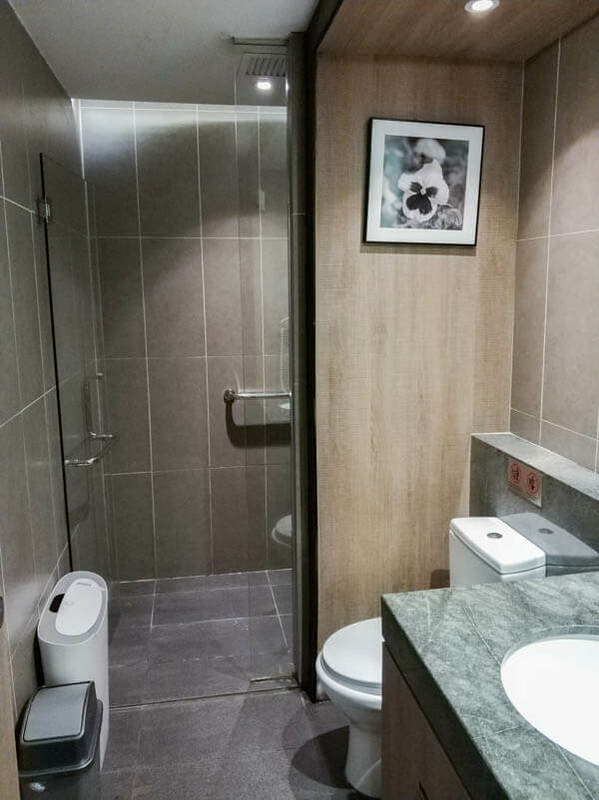 There were 3 shower rooms. One of them didn’t have light so there were only 2 shower rooms left. The shower room was quite spacious. 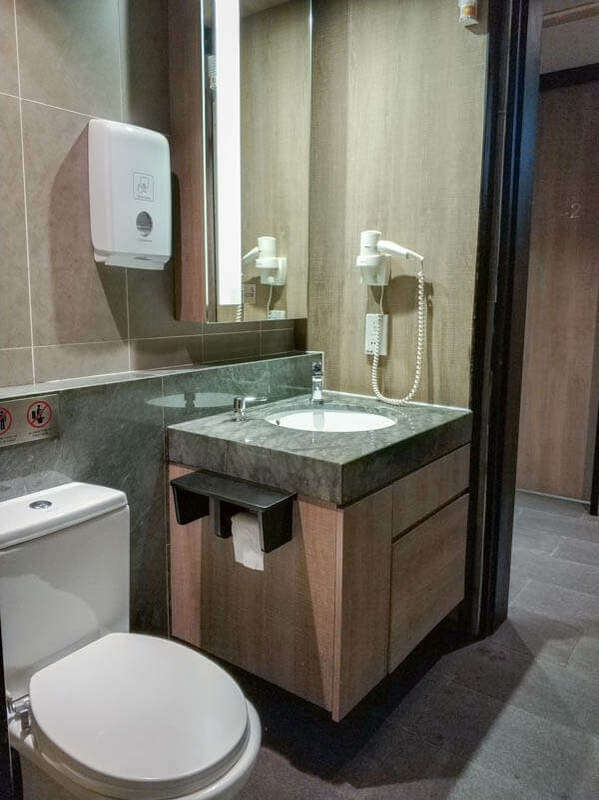 It’s actually possible to bring my luggage to the shower room so that I didn’t have to carry my clean clothes, from our seat all the way to the shower room. The rain shower was a feature that we loved. Too bad, there’s only a dispenser of body wash, no shampoo. 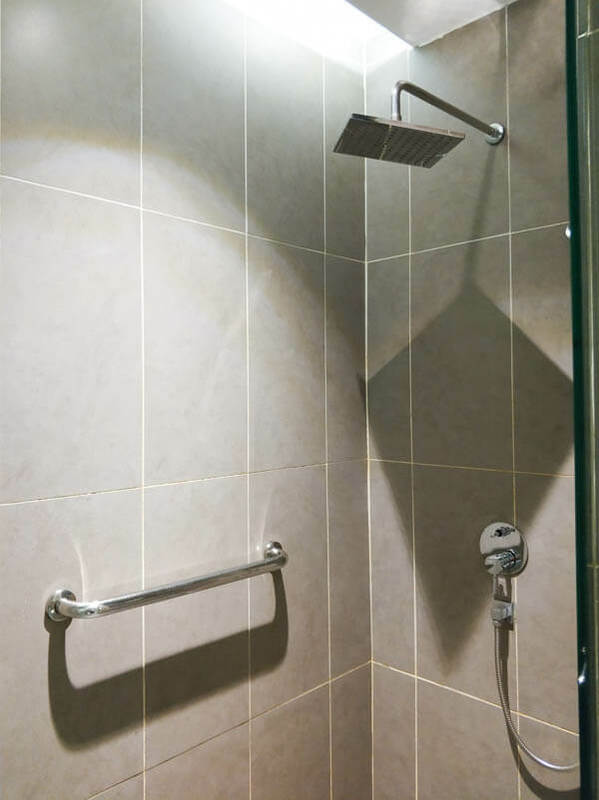 There was a hair dryer in the shower room as well, which was a helpful tool for me to stay dry and warm after shower. Sunrise is definitely my favorite part of the lounge visit. When the morning broke, twilight came, followed by sunrise. It was so beautiful to watch the sky change from pitch black to dark blue, to orange, to light blue. 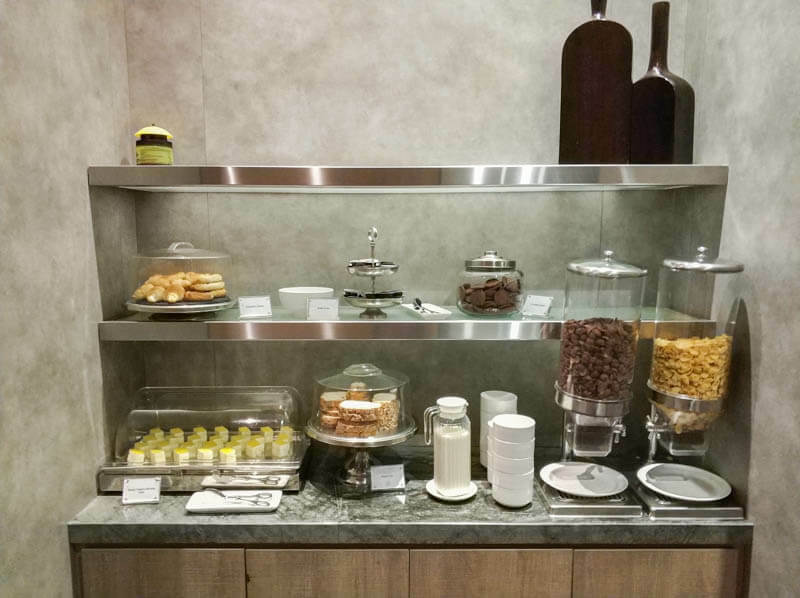 To be honest, it is a small lounge and it may not be comparable to Plaza Premium Lounges in other countries. 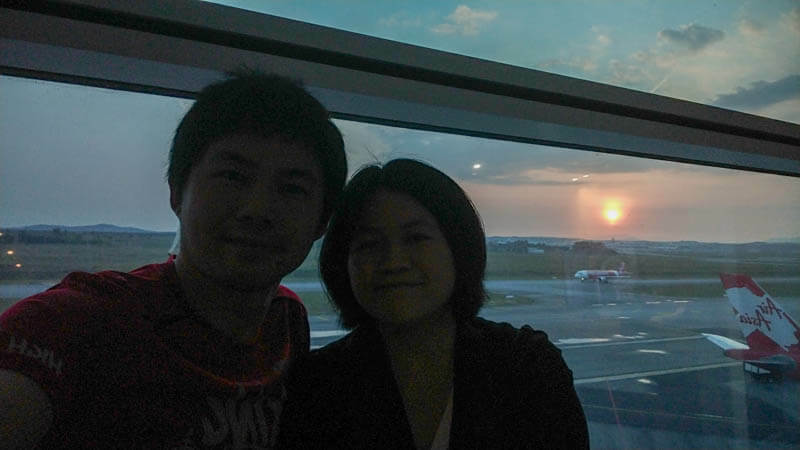 If you’re stuck in KLIA2 at dawn like us, it’s definitely better to stay in lounge than roam around the airport. 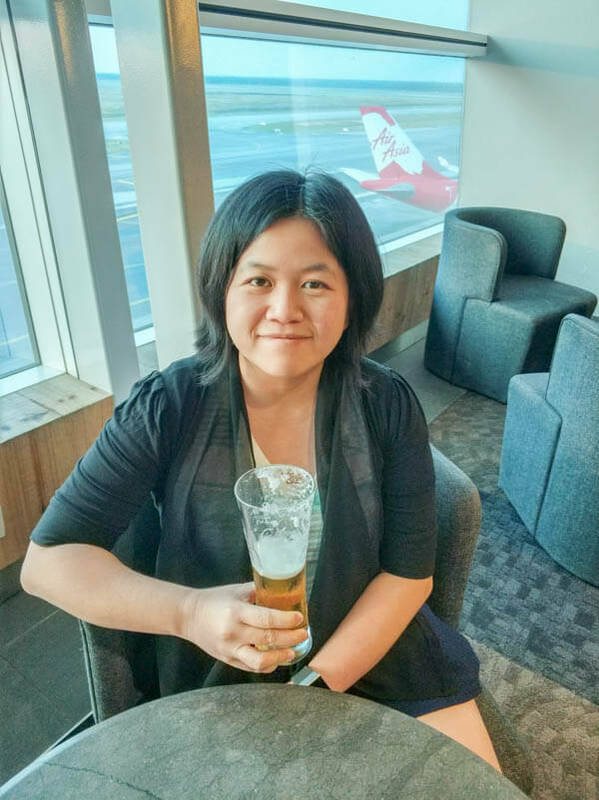 If you’re looking for cheaper paid lounge, there are a couple of cheaper paid lounges nearby Wellness, such as AirAsia Red Lounge and Sama-Sama Express, but both of them don’t serve free-flow beers, they sold beers.